Many people enjoy being scared. A spooky book or film satisfies some of these urges while keeping us entertained. When we confront fear, we learn a lot about ourselves. Whether you’re most afraid of monsters, vampires, a clown or a creepy doll, you can find a quote that will scratch your itch for something scary. Some of these frightening quotes even come from the Bible. The superstitious among us may want to steer clear of these quotes. Many of these quotes are funny. They will entertain you while they give you a fright. 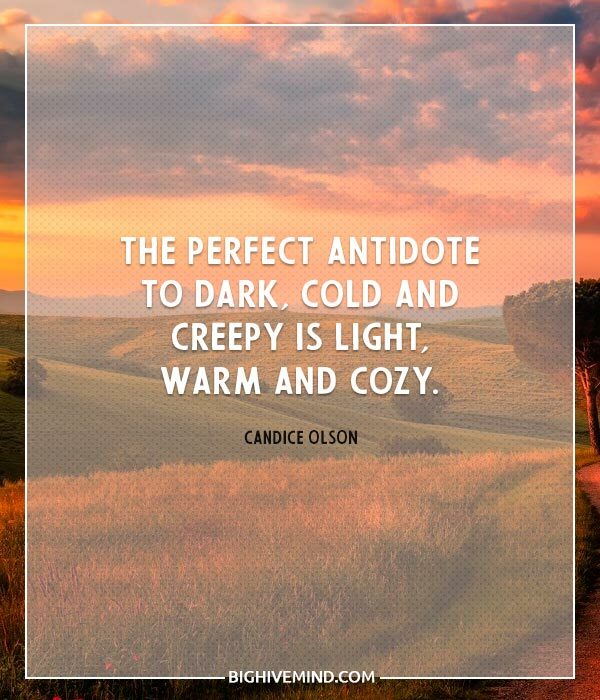 Explore the spooky side of life with these spine-chilling quotes. There are girls who find the giant beard ‘gross’ and ‘creepy.’ I know because they tell me. For no mere mortal can resist the evil of the thriller. Double double toil and trouble. Fire burn, and cauldron bubble. You could make any song sound creepy if you wanted. 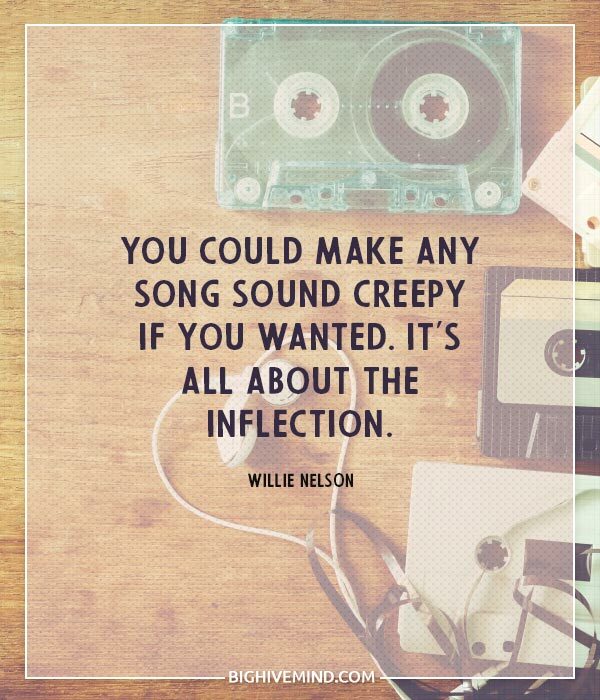 It’s all about the inflection. 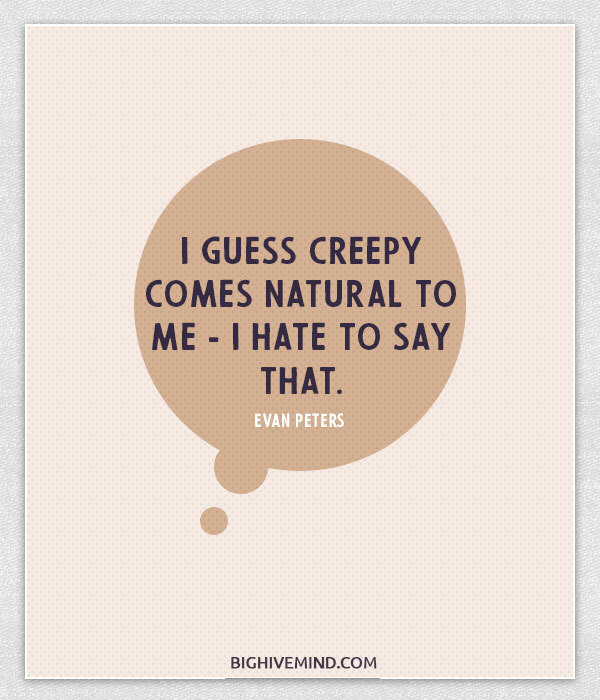 I guess creepy comes natural to me – I hate to say that. I laugh maniacally, then take a deep breath and touch my chest – expecting a heart to be thumping quickly, impatiently, but there’s nothing there, not even a beat. I find human beings to be so complex and full of beauty. Creativity is our way to express and challenge and flow. So, all you humans, create and flow! I’ll be over here thinking you are beautiful and creepy and freaky and wonderful! Hope not ever to see Heaven. I have come to lead you to the other shore; into eternal darkness; into fire and into ice. Creepy keeps creeping across the cold cobbles. Watch how he creeps and be sure he hasn’t crept up on you. The paranormal, you can’t pick and choose. It’s all or nothing. People don’t get better, they just get smarter. When you get smarter you don’t stop pulling the wings off flies, you just think of better reasons for doing it. Dark Jar Tin Zoo, Love Quotes for the Ages. All a skeptic is is someone who hasn’t had an experience yet. It’s a big spooky place when you’re in it alone. It’s like you can hear all the whispers of all the voices of all the actors who ever played here. Kind of creepy. Like a church can be creepy when it’s empty. You ever been in a church after hours? A person terrified with the imagination of spectres, is more reasonable than one who thinks the appearance of spirits fabulous and groundless. I’ve shot films in locations that have seemed haunted. I shot a film in a maximum-security prison in Russia. Part of it was on a psychiatric ward – there were definitely some creepy vibes there. It’s close to midnight, something evil’s lurking from the dark. Under the moonlight, you see a sight that almost stops your heart. Me being so open just helps other people. People feel like they know me so much that they can talk to me all of the time about really personal things. Sometimes it’s really nice and comforting. It depends on the person, whether they’re creepy or not. The time’s come to play, here in my garden of shadows. Some teeth long for ripping, gleaming wet from black dog gums. So you keep your eyes closed at the end. You don’t want to see such a mouth up close. before the bite, before its oblivion in the goring of your soft parts, the speckled lips will curl back in a whinny of excitement. You just know it. Directing a funeral isn’t about death at all. Funerals are for the living, not the dead. It touched me to be trusted with something terrible. A sense of wrongness, of fraught unease, as if long nails scraped the surface of the moon, raising the hackles of the soul. It’s kind of ridiculous, but I hate creepy crawlers. Like centipedes. It’s just the fact that they have so many legs! I am not great with spiders either. That absolutely creeps me out. I must go in. The fog is rising. No matter how much you think you love somebody, you’ll step back when the pool of their blood edges up too close. 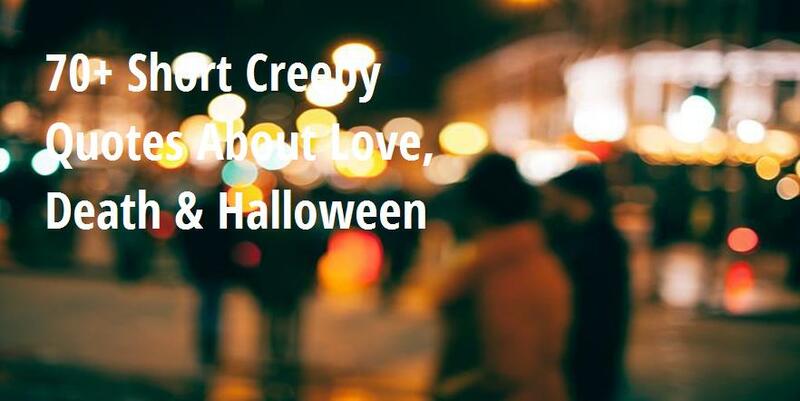 Creepy is better than just plain scary because you can’t look away from creepy – you want to know the truth! Wendy? Darling? Light, of my life. I’m not gonna hurt ya. I’m just going to bash your brains in. Even more than dying itself, I’m scared of the horror-movie changes that happen to the human body as it ages. I think of it as a sort of haunted-house effect, living inside a crumbling, creaking structure that is full of ghosts and will, some day, fall down. It would be nice to create something that’s healing rather than slightly creepy and darkly judgmental! I felt like it needed some color down there, so I painted the walls with the motherf*cker. Normal is an ilusion. What’s normal for the spider is chaos for the fly.